Remains of a Roman Villa have been discovered in Mayland, near the Marina (these, together with a Pheonician vase, are in Colchester Museum). The village gets its name from the may-weed plant – ‘Maelanda‘, which once grew here in profusion. During the Middle ages a few lonely farms existed here, with names like ‘Knipshoe‘, ‘Dredgers’ and ‘Bovill Uplands’, probably mostly engaged in oyster gathering. By late Victorian times a school was built above Mayland, about the time that a new Church replaced the Saxon building on top of Mayland Hill. At the end of the 1st world war, an American millionaire, Joseph Fels purchased land in Mayland, to found a farmstead where unemployed men and their families, many ex-soldiers, could come, to grow vegetables and fruit. Joseph had made his fortune manufacturing Naptha soap, and although a successful businessman, the farmstead eventually failed, due to pilfering and the fact that a north facing aspect is really not suitable for market gardening. Fel’s manager Tommy Smith, R.H.S knew his stuff, writing a book called ‘The profitable culture of vegetables‘, and he built his own house here. 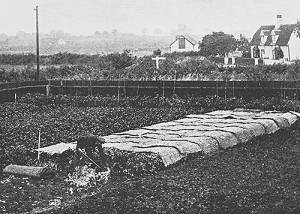 Plenty of men, from London mainly, certainly wanted to work on the land, and Fels even laid down a small pushme-pullme railway to move building products and manure from the dock, and take produce to the barges, en-route to London. In the 1930’s small plots of land were sold in Mayland by the Everitt family, so that people seeking quiet holidays in the country could build chalets here. 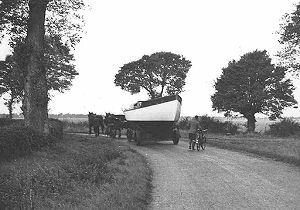 Also in the 30’s George Cardnell began building sailing yachts in nearby Steeple, hauling the completed boats by horse-drawn carts to the nearby Creek. 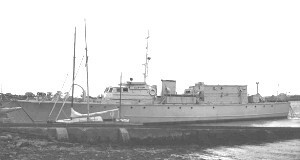 When the 2nd World war began, the Government needed Motor Torpedo Boats, and Gun Boats so it turned to the Cardnell brothers, Tom and George, and financed the building of the boatyard in Mayland. 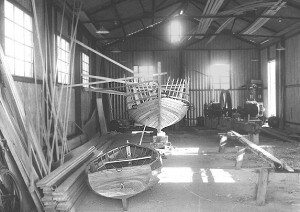 Over 100 workers toiled here at the peak of production, many bussing in from nearby Burnham-on-Crouch, where people with boat-building skills could be found. 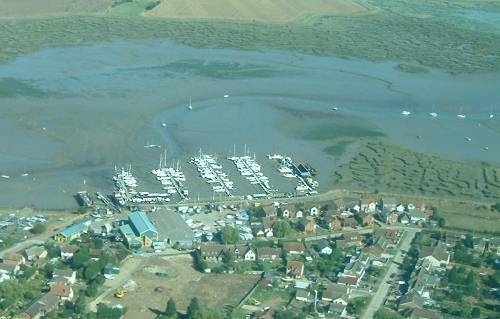 At the end of the war the yard turned to yacht building once more, and is now known as the Blackwater Marina. The Village has grown greatly in size greatly, and has a very modern junior school. Large houses have slowly replaced the little chalets, but mariners still travel into Mayland from far away to enjoy the Blackwater experience.